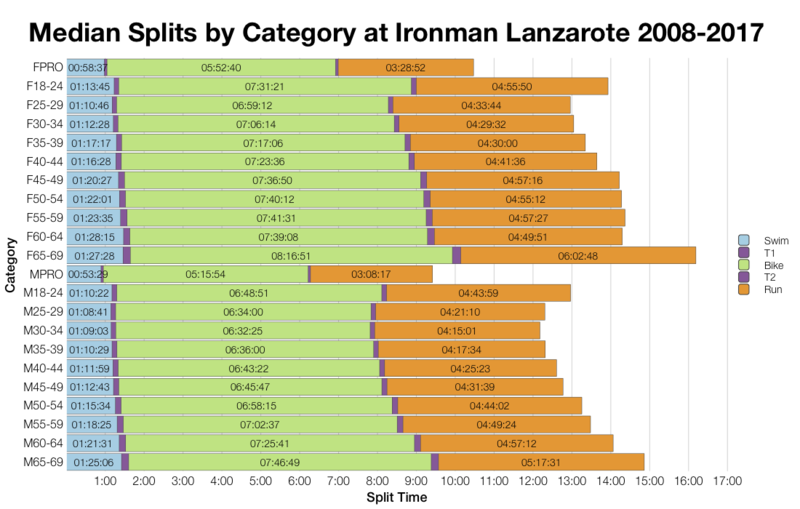 Ironman Lanzarote took place on Saturday. 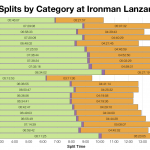 I don’t think the race needs much introduction – a long standing event with lots of hills and wind to deal with – one of the toughest of the Ironman races. 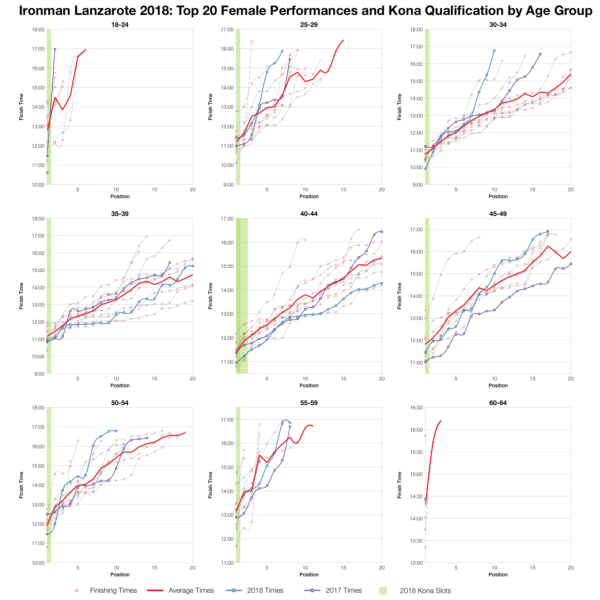 It still draws a decent mid to large sized field and offers a total of 40 Kona slots for the fastest age groupers. This year’s race saw some quite significant changes to the bike course- missing the trip down to La Santa; that will obviously impact on times. 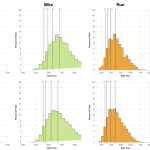 It’s clear to see that, when compared with the previous decade of results, this year’s bike was much slower. We already know there were big course changes which are bound to be a factor, but with only one year on the new course it’s hard to comment further. 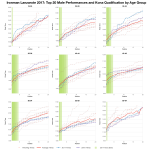 Swim and run also trend slower, but at least in the case of the run, this isn’t a significant difference. The impact is a slower overall distribution. The results set doesn’t include any splits for those who DNF. While those who DNS are clearly indicated in the data, without separate splits I can’t determine where athletes pulled out on the race. So we have a DNF figure that’s hard to compare with previous years where DNS numbers are sometimes mixed in. I suspect this level is fairly typical for Lanzarote though. Medians follow the patterns seen in the distributions above with some variations across the age groups. 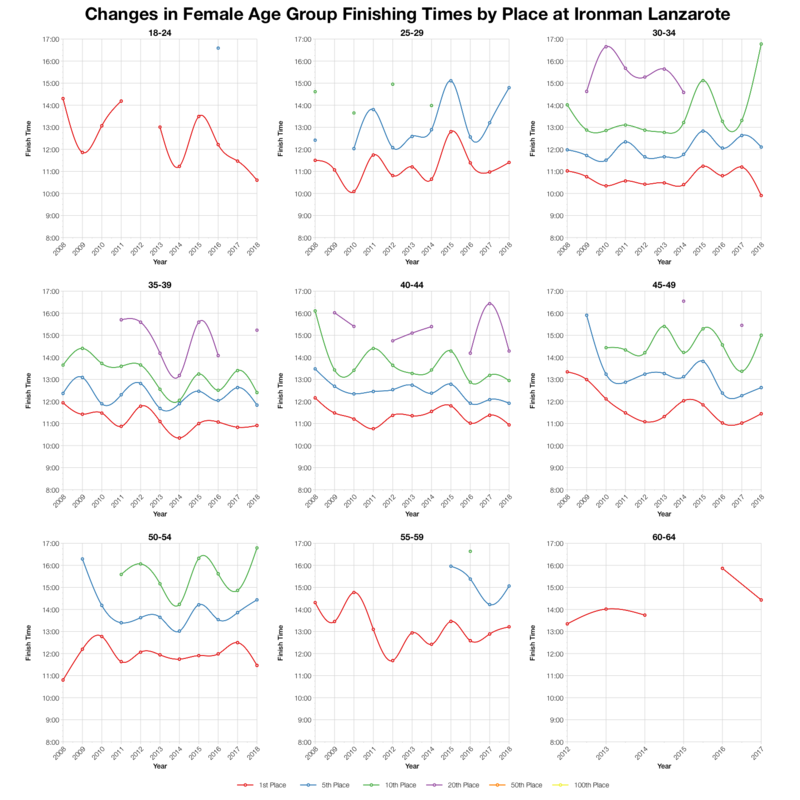 That means we mostly see slightly slower swims, similar run splits and slower bike splits from this year’s age divisions. Lanzarote always draws a wide ranging field – Spain, the UK and Germany tend to be at the top by numbers. Slots are spread around Europe, with the biggest share going to Germany. 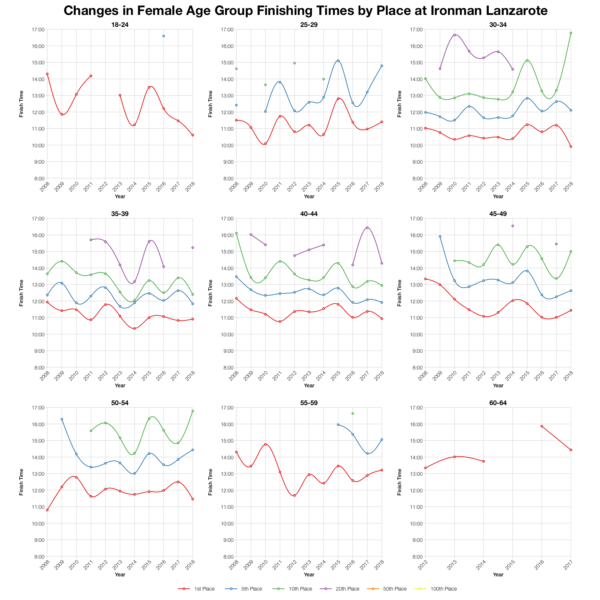 When we look at specific times and places across the last decade of this race there’s a lot more variation in the trends. It’s fair to say this year was not the fastest, but it wasn’t the slowest either. As is often the case, it’s further back in the field where we tend to see times fall back or level out, the front is more likely to keep pushing the pace close to previous bests. 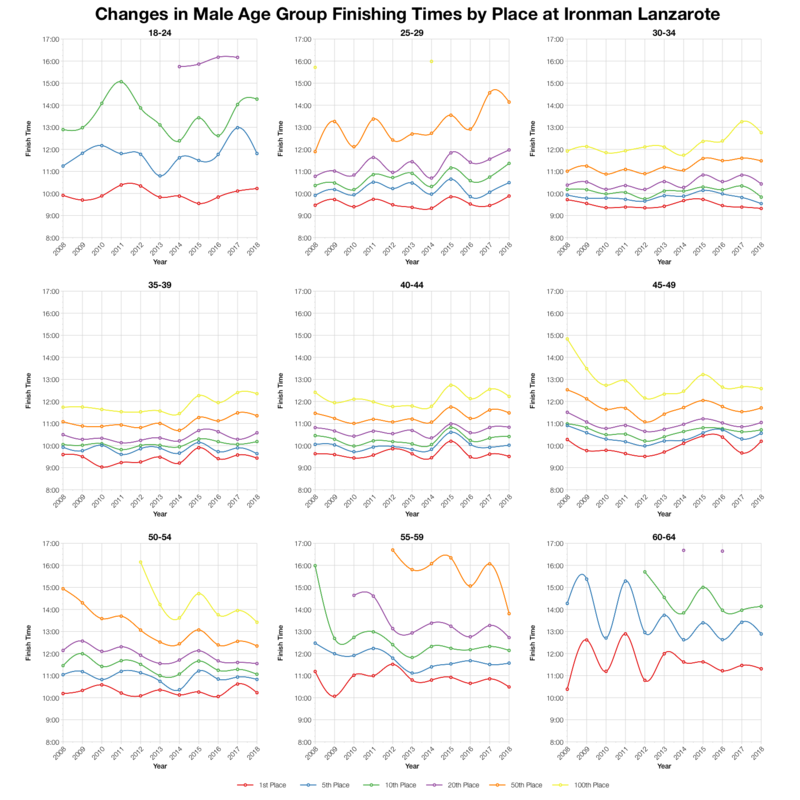 I’ve calculated the likely allocation of Kona slots based on starting numbers and from that, the automatic qualification times each age group. Final numbers may have varied and roll down would impact qualifying times. 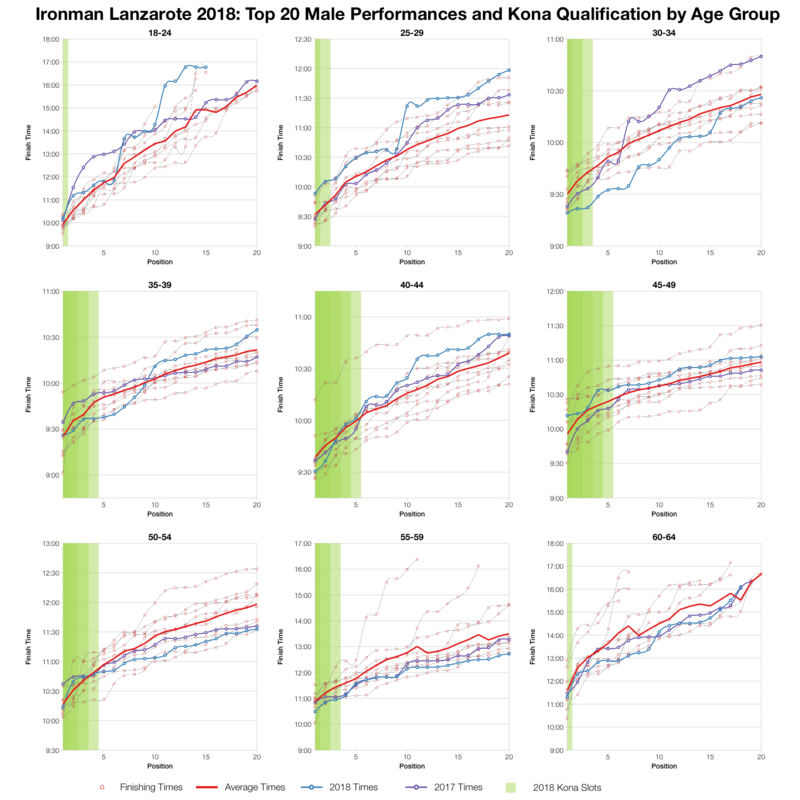 You can find more information on qualifying times on my Kona qualification page. 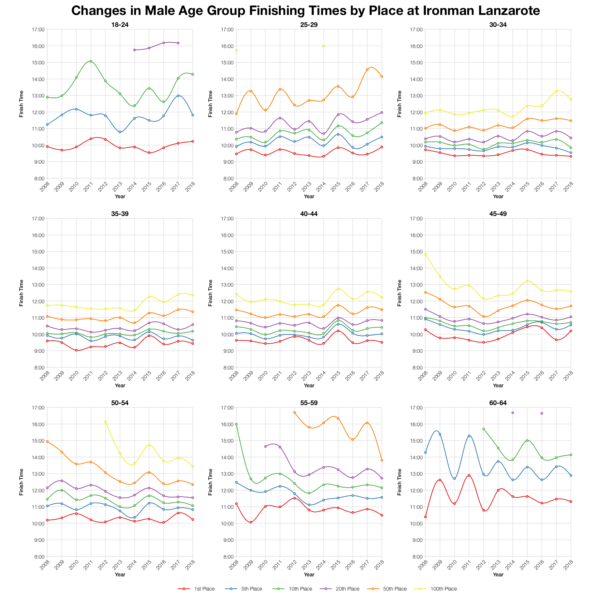 Again we see a lot of variation among the age groups when looking at top twenty time. Some divisions faster than average, some slower. Generally not the fastest, or slowest set of times, but there are exceptions – the top ten times for M30-34 were particularly fast as an example. 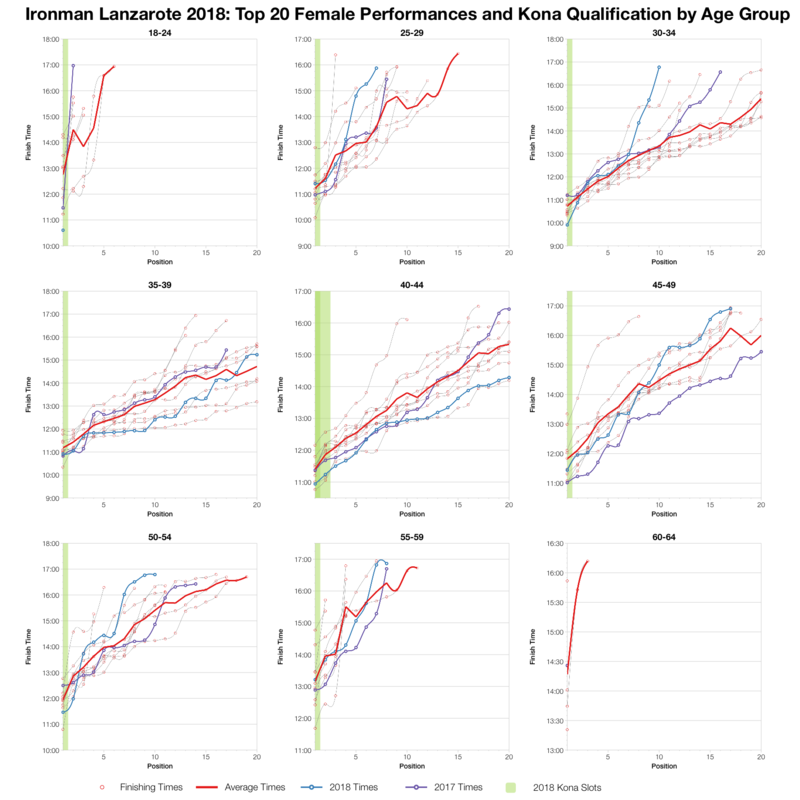 On balance the overall picture is that the front of race wasn’t too different to usual, but Lanza has shown quite a range of performances over the last 10 years. 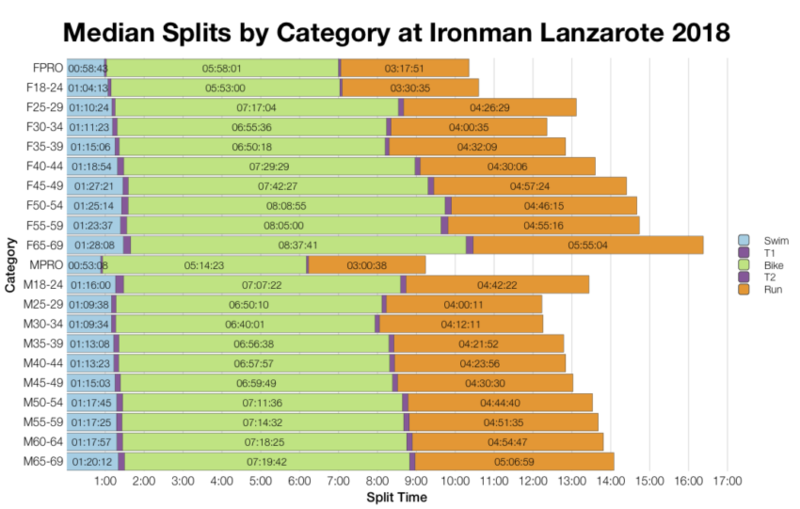 You can access a spreadsheet of the full results from Ironman Lanzarote 2018 on my Google Drive.